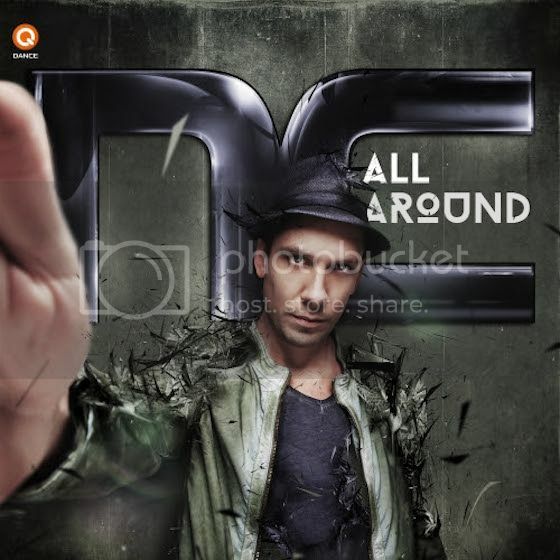 Since splitting up with Arjan, Bas is committed to bringing the Noisecontrollers sound forward with his forthcoming album, 'All Around,' set to be released on March 14th on Q-Dance, and a series of tour dates this month around North America hitting New York, Seattle, Montreal, Orlando, and more. For over a decade, Noiscontrollers has establised itself as a key player in the hardstyle genre, often referred to as the "pioneer of hardstyle." We had a chance to catch up with Bas ahead of these exciting events to chat about his role in creating a new type of hardstyle, why he's looking forward to the tour, some of his lesser-known musical influences, and the future of Noisecontrollers as a solo act. Noisecontrollers is often referred to as the "pioneer of hardstyle." How did this come about? What sparked hardstyle production for you? I think Noisecontrollers has a unique sound which has gained popularity since 2007. Since Noisecontrollers started in '07 along with the new wave of hardstyle which was more about melodies and straight basslines, there was a lot of space to improve. We helped create this new type of hardstyle, and I guess that’s what gives Noisecontrollers that title. It’s a huge compliment to have contributed to it. Has your style evolved at all since you started making and playing music? What are some of your musical influences that your fans would be surprised to hear about? Of course the style has changed, but that also goes for hardstyle in general. Besides that the whole genre leveled up from a small underground sound to a mature sound. I have also developed as a producer over the years, which causes the music to change. As for the influences, I can be triggered by all kind of things - a good movie, different genres of music or a mood I’m in. You are embarking on a US mini tour in February. How do you feel about touring alone? It will be the first tour I’ll do alone, which is a totally different experience. I’ll miss Arjan’s company, but am highly motivated to bring the Noisecontrollers fans new music with the Noisecontrollers sound. I’m really looking forward to it! Which cities are you most looking forward to visiting on your tour? Over the years I’ve seen so many places, and they are all unique with many hardstyle fans. I truly look forward to all of them! Noisecontrollers is coming out with a new album. Tell us a bit about the production process and what it was like producing an album as a solo artist. Production-wise there wasn’t a difference as I produced the previous album, E=NC2 , alone too besides the track "Knock Out”. I started the album in the beginning of 2013 without the goal of an album. When Arjan decided to leave around summer it was a logical thing to keep producing and release an album early 2014. You aim to bring hardstyle "to the next level" on your North American tour - what is your vision for the genre in the future and how do you plan on contributing to that/making it happen? Right now I’m trying to level it up at the overall sound - for sure new influences will come into hardstyle. Maybe it will go less melodic or maybe more. I’ll keep doing whatever feels right to me and I enjoy at the moment.